You know,I’ve heard that these creatures can jump quite well, looks like it was quite a risk to take such close-up photos (very good photos indeed!). My god! Isn’t this thing just so scary! They can jump?! :-0 Geographically – SE Tennessee. You know, I remember reading a post of another blogger who also took a picture of a black widow and she wrote something like “don’t come too close to them because they jump”. I googled the info right now and found nothing, so maybe it’s not true after all. I’ll keep looking, if I find something, I’ll return and tell you. 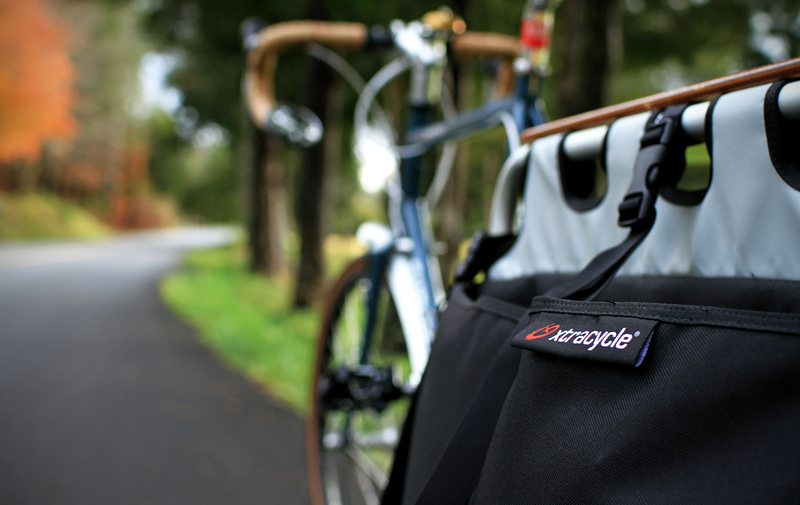 Beautiful pictures as always….but I’ll take the xtracycle over the spider any day. 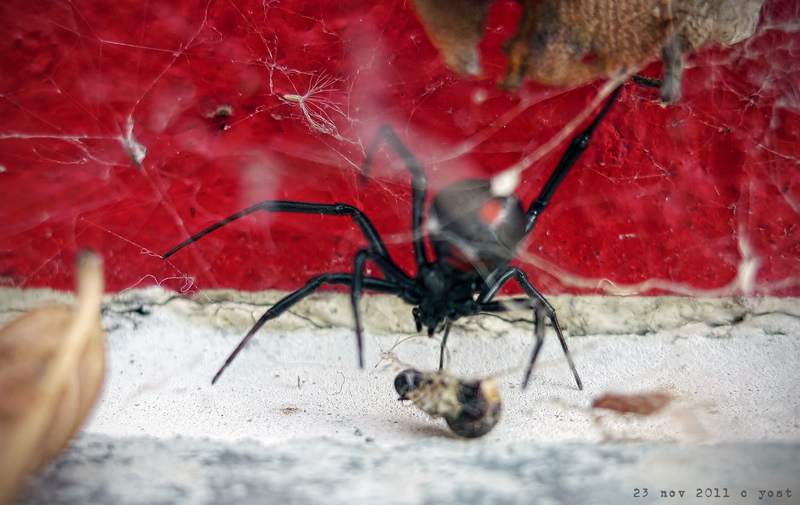 That was an awesome photo of the Black Widow spider! Thanks for my daily dose of education. I had no idea what a black widow spider even looked like! My husband says we do not have those here in Vermont. Happy Thanksgiving. HOLY cow! I would DEFINITELY have moved my bicycle, but I am quite afraid of any spider, so this may have just sent me over the edge. I will agree, though, that they are so beautiful. 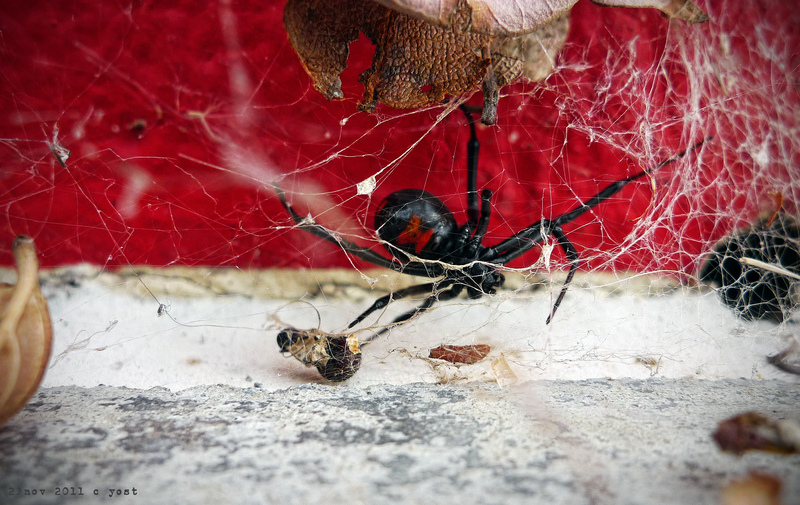 I can’t help but be enthralled by them… my rule has always been: “Just stay out of the house.” You took some really gorgeous photos of this black widow. Wow! We found one hiding in our garage last summer under the step ladder sitting just beside my husband’s triathlon bike and gear. They are extrordinary to look at yet frightening when I consider how deadly (or so I’ve been told!) they are.